Fiji Airways began operations back in 1951. In 1971, when Qantas bought a large share of the airline, their name was changed to Air Pacific. From a passenger perspective, Air Pacific wasn’t great and wasn’t horrible. Though the service was suboptimal, backpackers and round-the-world travelers appreciated how Air Pacific would allow for free stopovers in Fiji when flying between North America and Australia/NZ. And students appreciated that Air Pacific would, at least on occasion, offer decent student fares. What was not appreciated, at least by the people of Fiji, were the ways they saw their national flagship carrier dominated by an Australian company. Qantas wasn’t thrilled with its roll in Air Pacific either. So when the chance came to sell their portion of the airline back to Fiji, they took it. The move is a high risk one for tiny Fiji — the purchase of the airline was funded by the savings of Fijian pensioners. It was important to get it right. Step 1 in that process: Purchasing new airplanes. To that end, Fiji Airways ordered three Airbus A330s, which are 45% more fuel efficient than the Boeing 747 aircraft they are replacing. Step 2: A complete makeover. For their new look, the airline turned to a local Masi artist, Makereta Matmosi (pictured to the right). Masi art is made using the inner bark of the Masi tree and features finely stenciled geometric motifs called masikesa. 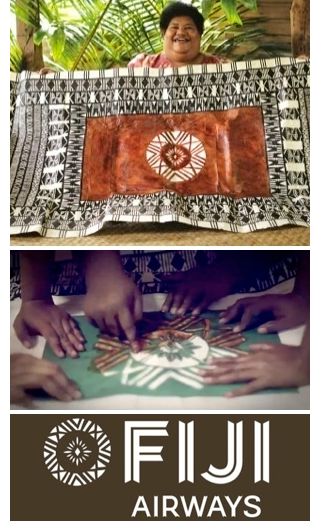 Five masikesa are being used to create the new Fiji Airways branding, one for the main logo and two each for the plane’s interior and exterior. Check them out, below. Are these changes mostly cosmetic? Or will they combine to create a truly high quality flying experience? That remains to be seen. Spot Cool Stuff is optimistic — probably illogically so — that Fiji Airways will get it right. 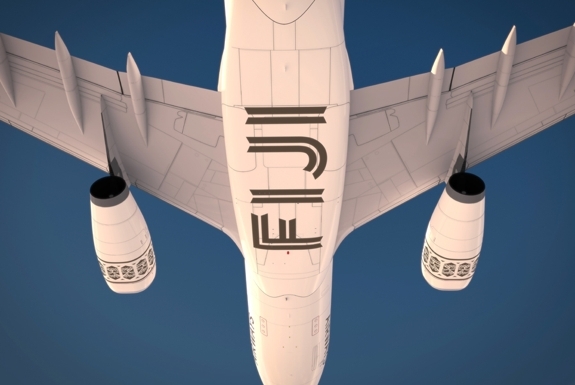 We look forward to finding out after the new-look Fiji Airways takes off in June of 2013. Be properly pampered when you fly to London. Virgin Atlantic Airways – Book Now!